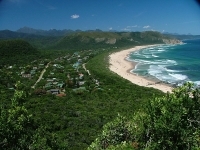 The Garden Route is famous for road tripping, beach lounging, and hiking opportunities. The phenomenal Otter Trail, a world-famous five-day hike, stretches from the beautiful Storm's River estuary to the much-loved Nature's Valley, and hiking this route is arguably the best way to experience the Garden Route. There are also numerous shorter walking trails traversing the coastal strip, and many picturesque campsites. 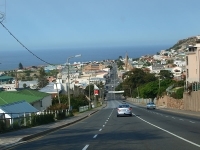 The National N2 Highway runs the length of the Garden Route and it is possible to simply stay on this highway and stop at most of the main towns and villages for which the route is known. 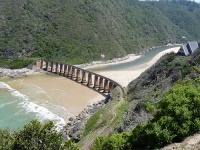 The N2 takes travellers from Cape Town past Mossel Bay, Wilderness, Knysna, Plettenberg Bay and the Bloukrans Bridge (famous for bungee jumping). It continues all the way up past Jeffrey's Bay to Port Elizabeth. But it is recommended that tourists leave the highway to explore some of the more unspoilt areas if they have the time. The route is a fun pilgrimage for surfers, with Mossel Bay, Plettenberg Bay, Cape St Francis, and Jeffrey's Bay all providing spectacular surf breaks. Knysna and Nature's Valley are two of the highlights along the Garden Route and shouldn't be missed.